The Council’s hesitation on the digital services tax contrasts with the unity of the European Parliament, whose economics committee overwhelmingly supported a more ambitious proposal in a vote on Monday. 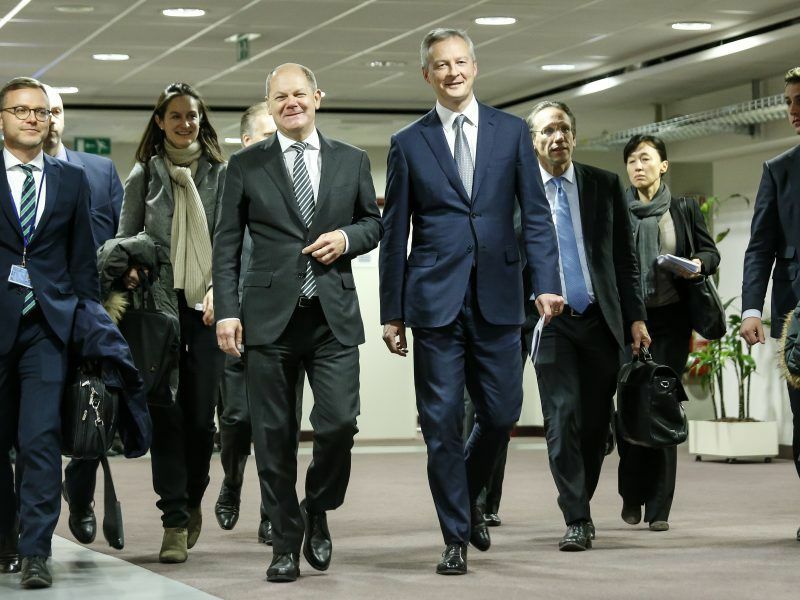 On Tuesday, Austria’s Finance Minister, Hartwig Löger, spoke about common goals between ministers and said there was the general consensus about the need to have a fair taxation framework for digital giants. However, with opposition to the plans by several member states including Ireland, Sweden, Denmark, and Finland, a compromise agreement drummed up between France and Germany was presented to the Council. 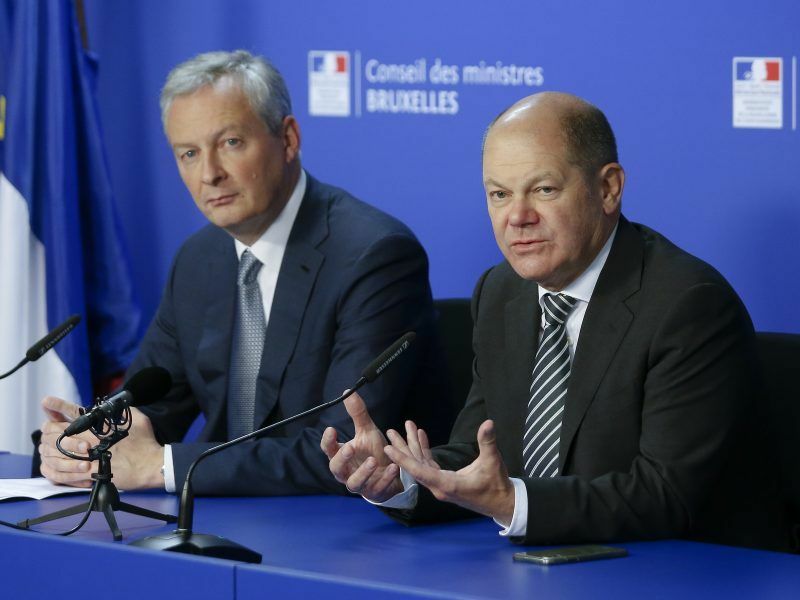 The new proposal put forward by France’s Finance Minister, Bruno Le Maire and Germany’s Olaf Scholz, would see some of the largest tech companies such as Amazon and Apple, who do not source a significant portion of their revenues from advertising sales, escape the tax. In addition, the Franco-German initiative would only come into force in 2021, should no agreement be reached as part of the OECD talks on establishing an internationally recognised digital tax regime. The compromise would also allow member states to extend the scope of the levy themselves. But he acknowledged that he would have liked to be more ambitious in the scope of the tax base. 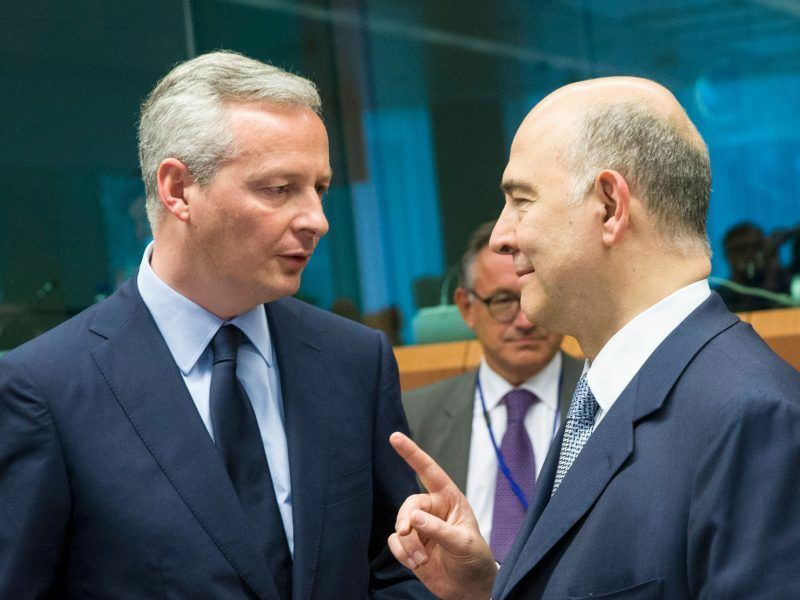 The idea is for the finance ministers to reach a consensus on the Franco-German proposals by March 2019. There was a perceptible tone of frustration in Austrian minister Löger’s voice as he highlighted the fact that EU finance ministers had reached a common consensus for a broad tax base during a previous meeting in November. Löger said there was no broad scope in the Franco-German declaration. Moreover, the Franco-German appeasement still did not convince some hardline opponents, who remained wholly unenthusiastic. “I continue to have strong principled concerns about this policy direction,” Paschal Donohoe told ministers, before adding that he would prefer to see an international agreement reached on the subject of digital taxation at the OECD level. Ireland has long opposed the idea of a digital tax, amid fears that it could reduce the appeal of the country’s low 12.5% corporate tax rate. The country plays host to a number of giant tech firms including Google, Facebook, Adobe, LinkedIn, Apple and AirBnB. A majority of member states said on Tuesday they would be open to further discussions on the Franco-German proposal, with some nations, such as Italy, Slovakia, and Spain criticising the plans for not being ambitious enough. Spain and the UK have moved forward with their own digital tax plans while talks at an international level have stalled. Spain’s model is based on the European Commission’s original proposal. The Commission’s plan hits firms with a 3% levy and a company would need to make €750 million in global revenues to be subject to the tax, €50 million of which would need to be EU taxable revenue. The UK’s framework includes a 2% levy on revenues levelled against firms with global annual sales of £500 million (€560 million) and over. On Tuesday, Slovenia noted concerns relating to “the revenue that such a narrow tax base would generate,” and Hungary’s Finance Minister, Mihály Varga, stressed that the Franco-German plan sounds a lot like the current tax framework on advertising revenues in Hungary, which would look to push for a broader scope. Portuguese Minister of Finance & President of the Eurogroup, Mário Centeno, raised an interesting point during Tuesday’s gathering of EU finance ministers. Because the new proposal allows for a broadening of the tax base by member states as they see fit, it may result in a fragmentation of tax rates, which member states said they had originally wanted to avoid. Divisions in the Council are being laid bare at a time when the European Parliament’s stance is much more stable. On Monday, Parliament’s Economic and Monetary Affairs committee adopted their position on the digital services tax by an overwhelming majority. “Both the European Parliament and the European people want a more ambitious digital service tax,” Socialist Rapporteur Paul Tang said. “Therefore, it is time to deliver a strong digital service tax. We need to aim for basic fairness, where everyone pays their fair share, also the multinationals and the tech giants”. Parliament’s report goes further than the Commission’s original proposal. While the Commission seeks to apply the levy against companies that generate €50 million in EU taxable revenue, Parliament’s report lowers this threshold to €40 million. However, Parliament’s authority in the field of tax law is limited to a consultative role in the legislative process. Under Article 115 of the Lisbon Treaty, the Council alone decides with unanimity on the detail of any tax measures. Regardless of the Council divisions, the only clear consensus at the current time appears to be the fact that all member states would like to see an agreement reached at a global level, as part of the ongoing OECD talks. This is a perspective backed by many in the industry. Christian Borggreen, vice president of the Computer & Communications Industry Association, issued a statement on Tuesday supporting the idea of reaching a global consensus. “It is encouraging that ministers have decided to think again about the proposed EU digital tax, which risks harming Europe’s digitising economy,” he said. “We believe a global solution through the OECD, that also includes Europe’s main trading partners, is the best way forward. Others, however, have criticised ministers for unnecessarily delaying the process. 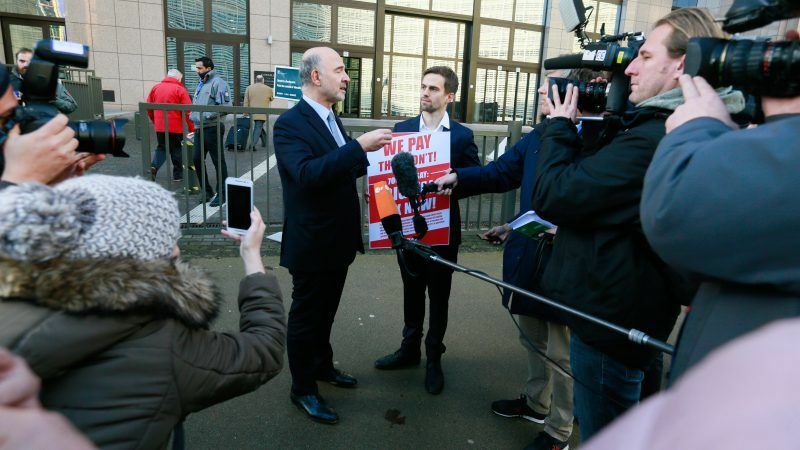 After ministerial talks concluded on Tuesday, Christoph Schott, campaign director at Avaaz, the civil rights movement, voiced frustration at the stifling of Council progress on the digital tax plans. “Despite massive public pressure, ministers simply kicked the can down the road. There’s one more chance to get this done before the EU elections, and ministers must not let big tech off the hook again,” he said.